Dalga Trans NV was founded by Mr. Eugène Uyar. After many years of working as a truck driver with chemicals and bulk, he decided to use his knowledge and experience to start his own company. He started with just one truck and carried out transport with ADR products. He also founded the company Diesel Transport Services (D.T.S). 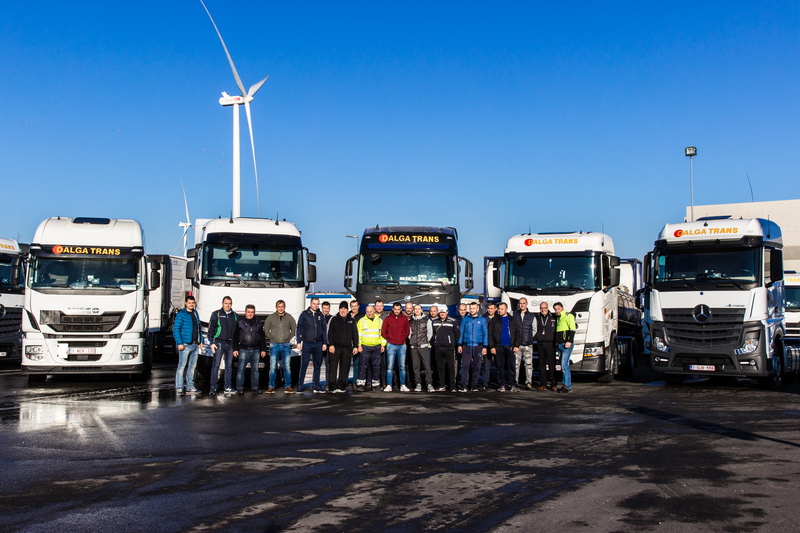 Due to the strategic location of Dalga Trans NV in Genk, in the center of Limburg and the focus on service level and growth, Dalga Trans now has more than 70 employees and 60 trucks. We do transport for various companies throughout Europe. With many projects on the table, Mr Eugène Uyar and his team look to the future confidently. How do we get your transport done? A key factor in the success of Dalga Trans NV is the flexibility which is needed to operate on the transport market. All employees and drivers are aware of that aspect to meet the needs of the customer. In order to guarantee a high-quality service that is required for the intermodal transport of ADR products, the drivers and employees are regularly trained. Particular attention is given to safety. In addition, the management and maintenance of the fleet and the materials used are important elements for Dalga Trans NV.